Hi everyone! What a crazy few weeks it has been! I think I have spent most of my time on airplanes. I have traveled from Virginia to Houston to California! Its been so great being able to spend the summer meeting fans from all over the country. 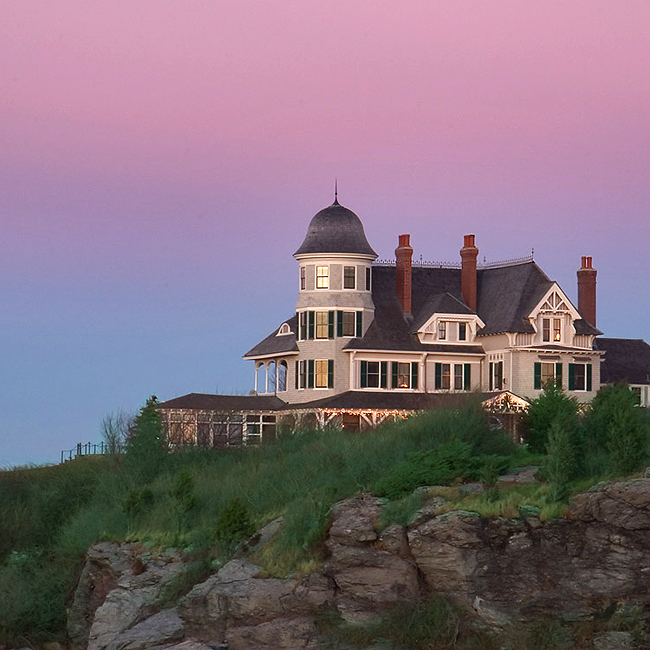 One of my favorite trips was to Newport, Rhode Island. Not only was I able to do two tastings and signings but Ramona Pinot Grigio was featured in the Newport Wine Festival. I was so honored and excited to attend. This also ranked as one of my top trips because I was able to spend it with Mario! 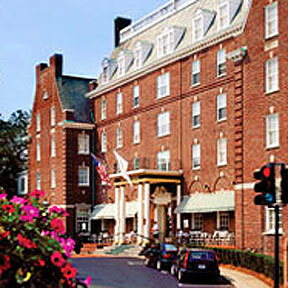 We stayed at the Viking Hotel in the Marble House suite. So beautiful! 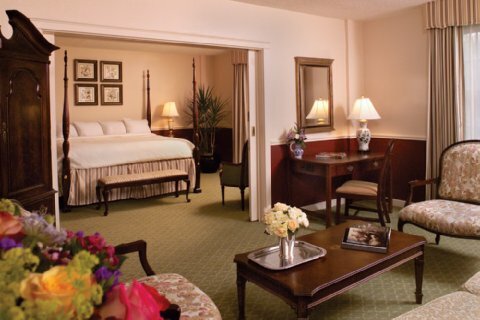 It was one of those rooms you want to just stay in, relax and enjoy! But there was so much to do! We were able to easily go from destination to destination as Audi had provided a car and driver for us! 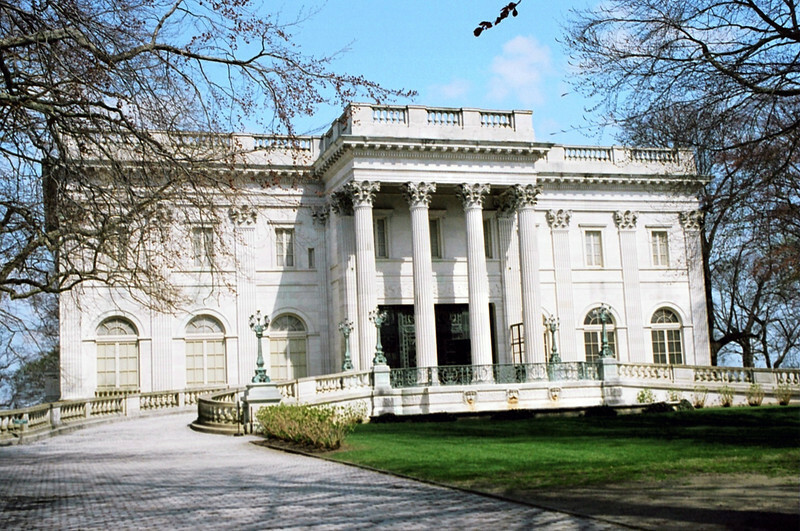 I spent Friday afternoon touring the mansions. I asked my fans on Facebook and Twitter which ones I should go to and then took all of your suggestions and began. You guys were my tour guides! 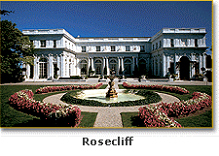 Two of my favorites were the RoseCliff and Marble House mansions. Friday night I did a signing at Pier Liquors. I had so much fun. We sold out of all 54 cases of Ramona Pinot Grigio! It was amazing and my fans made it a great time. I even had two fans make me something very special!! Here are a few photos but you can see many more (and possibly yourself!) on my Ramona Pinot Grigio Facebook page. After the signing I went to the kick-off event, Uncorked and then off to dinner with Mario at 41 North. It was delicious! We had so much fun! We met a group of women who were there celebrating their a Bachelorette weekend. We all danced after dinner! You should have seen Mario and I dancing with everyone. We had a blast and were out until 1:00am!! We had to get as much sleep as we could because it was rise and shine early Saturday morning for brunch at Castle Hill. Such a beautiful and special place!! After breakfast, we went on a yacht cruise for several hours. 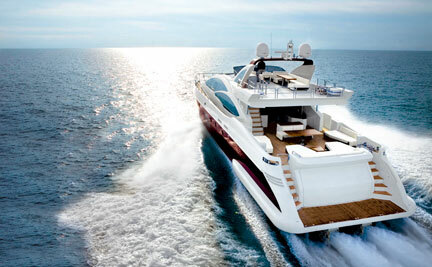 The Azimut Yacht is a stunning brand new 78′. There were 20 exclusively invited guests which included Chefs who were partaking in the festival. Newport is just so stunning, clean and beautiful. It was a perfect say to sail around. 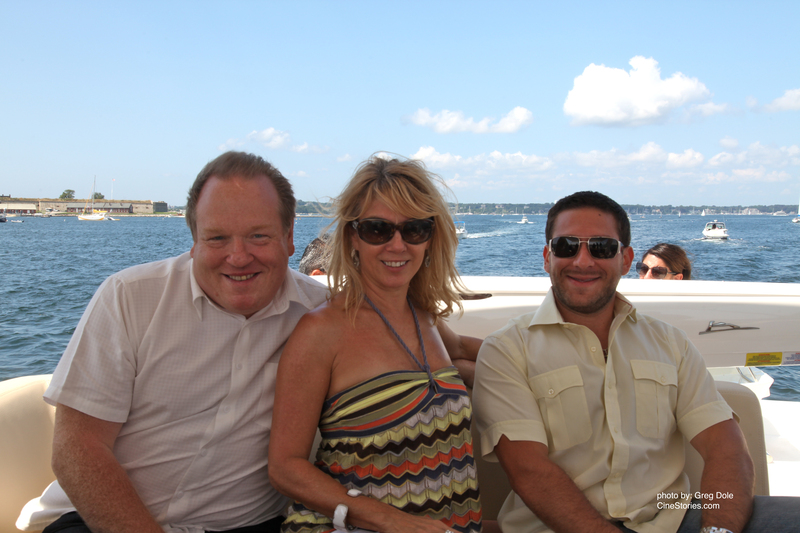 I met two fabulous chefs: Michael Ferraro of MacBar/Delicatessen in NYC and Brooke Vosika of Four Seasons in Boston. 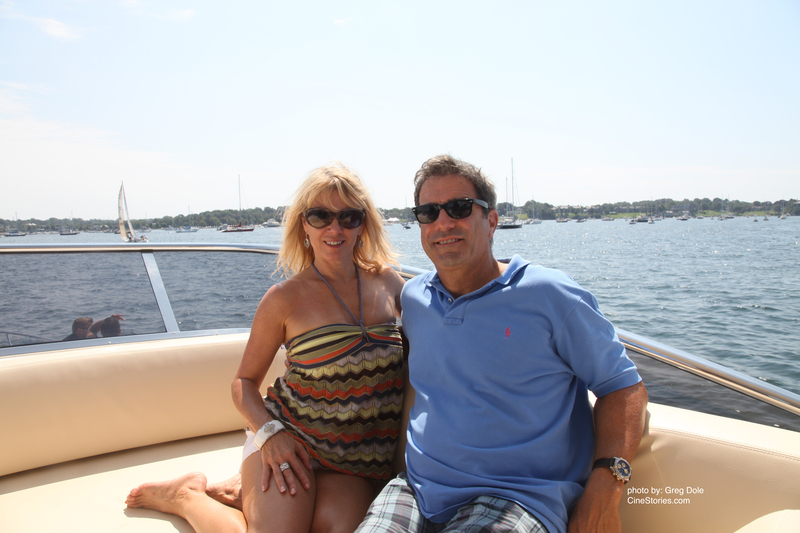 Michael shared a delicious recipe with me that I will share in my newsletter and I plan on visiting Brooke at his restaurant on my next trip to Boston! Great gentlemen! I spent the afternoon eating food and tasting wine. Can’t complain! I had the best lobster roll from the Chef at the Viking hotel but without the roll LOL. That evening, I stopped by Vicker’s Liquors for an hour to do another tasting. It was actually a lot of fun for a different reason…we did it outside! I’ve never done one of my signings outside before so it was a nice change of pace! After the signing, we went back to the festival where Ramona Pinot Grigio was being featured in the Grand Tasting! Mario and I poured the wine and socialized with other attendees and chefs! On Sunday morning, our weekend came to an end with a spectacular Chef Brunch. Ten thousand people attended this year’s Newport Wine Festival! It was so organized, fun and delicious! I absolutely can’t wait to go next year! Thank you to the great Michael Guinan who ran the festival. It was FANTASTIC! Hello again! It’s been a little while since my last post. I have been busy busy! But more about that in my newsletter. 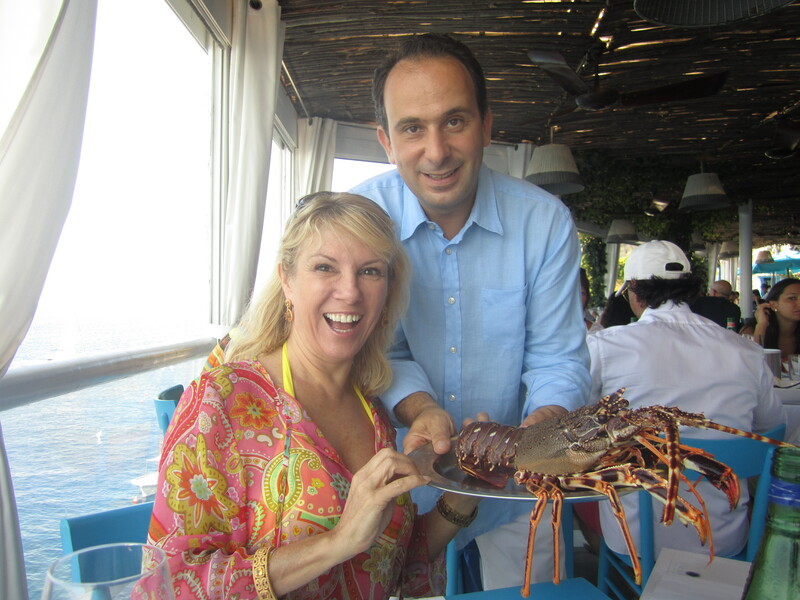 I wanted to share some photos with you from my vacation with Mario. I always say that you need to have private time to keep the romance alive and this was the perfect time for us. With Avery away studying at Oxford for a few weeks, we decided to return for our 10th trip to Italy. 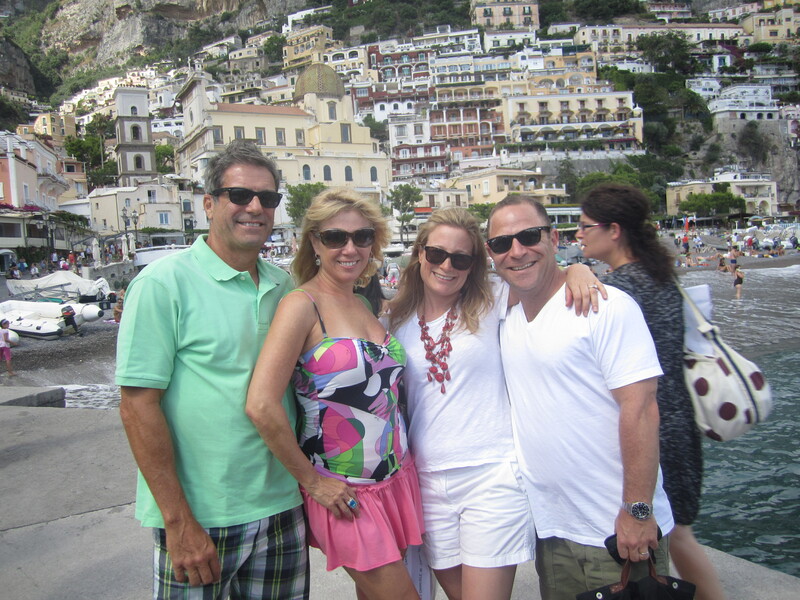 We always visit Capri and Positano. They are our perfect destinations! 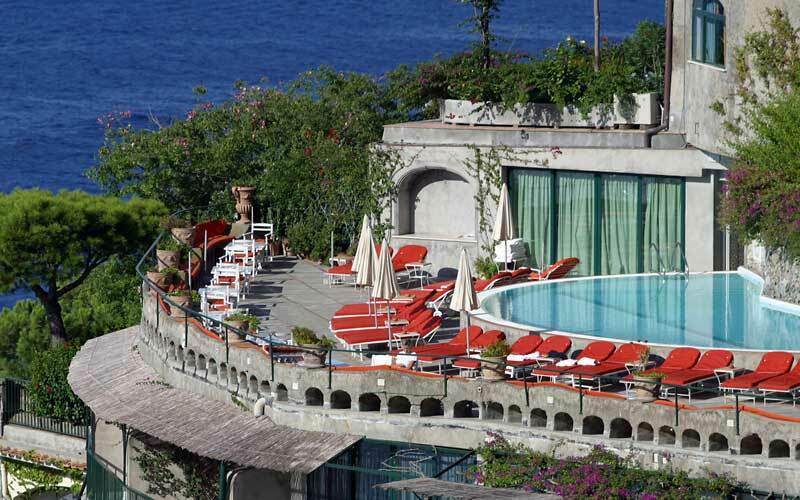 We always start off in Capri at the Casa Morgano. There is a lot of action and some great energy! 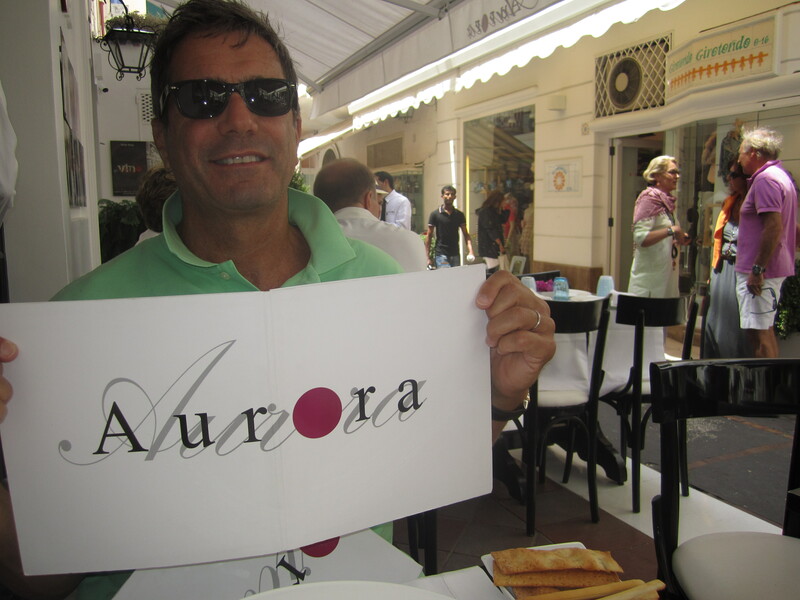 One of our first stops in Capri is always Aurora! They have the BEST pizza! It is so light and crispy. I could eat an entire pie by myself. A must have on each trip! We had a beautiful dinner outside at Da Luigi ai Faraglioni. This historic eatery, sits on the water’s edge, and almost directly beneath the island’s Faraglioni rocks. Such a sight! We had some great meals throughout the trip. Not only is the food spectacular but the atmosphere is to die for! 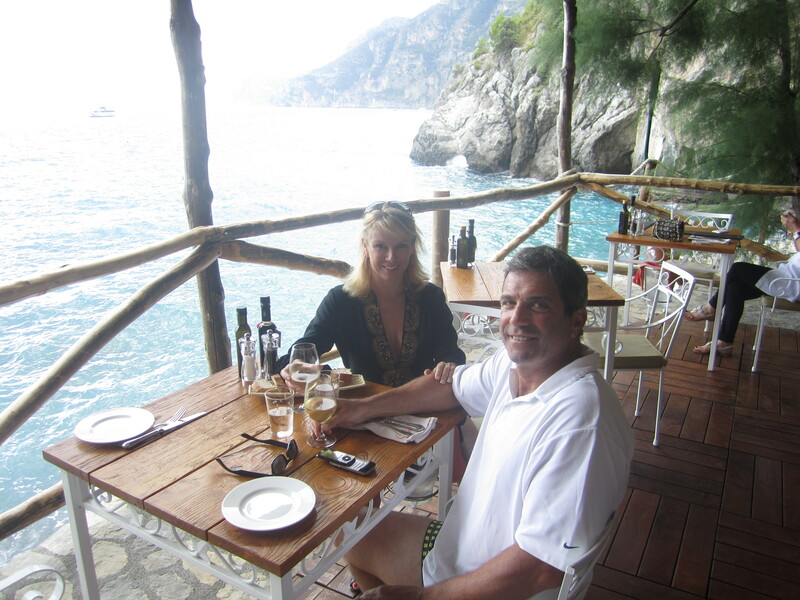 One of our favorite places for lunch and to lay out is La Fontelina in Capri. It is a beach on all of these amazing rock formations that jet out on different levels over the water. I always grab the one closest to the edge because it feels like I’m floating. 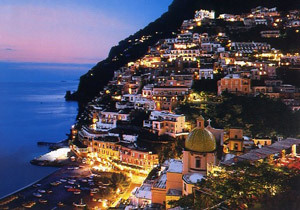 Our next stop is Positano where we arrive by boat! We always end our trip at the San Pietro because that is where all of the romance is. We actually ran into a couple on their honeymoon and told them there was no better place to celebrate their new life together. The San Pietro is the MOST romantic place in the world to me and Mario. I always say one of the rules for a long lasting and successful marriage is to keep the romance alive and a place like this does it every time! If you like someone, you will fall in love. If you are in love with someone it gets intense!! It’s truly stunning and was so special to be there for our 10th year. We even recreated a special moment! 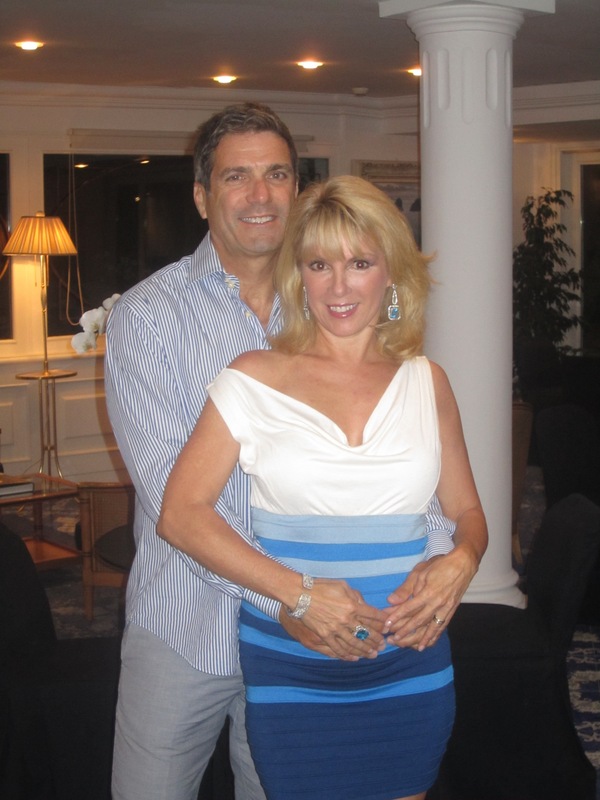 Overall, those ten days were very special for Mario and I. 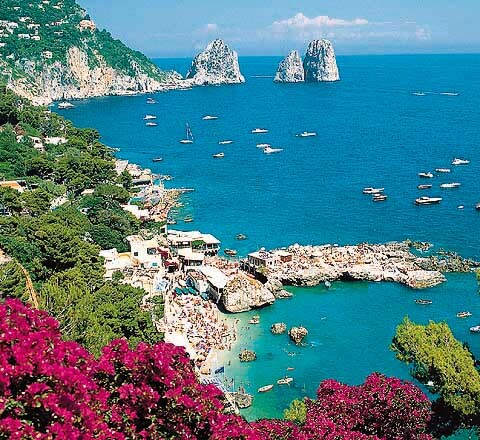 We are so lucky to be able to do something as spectacular as this trip to Italy. I hope you were able to relive the trip with me through some of these photos. I plan to post an entire album of summer photos on my Facebook page so make sure to “like” me so you don’t miss it!